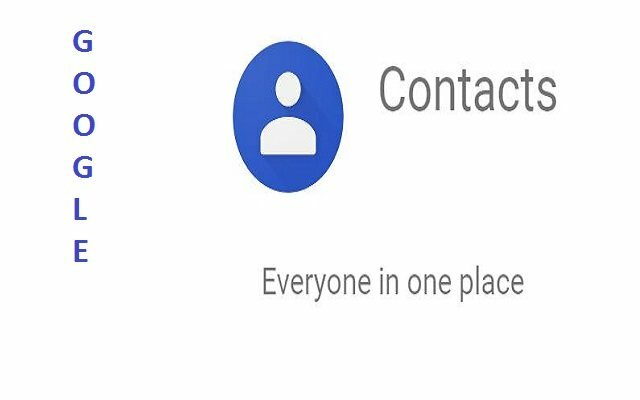 Google Contacts is actually a contact management tool by the company. It is a standalone service available in its free email service Gmail. Furthermore, it is also a part of Google’s business-oriented suite of web apps, Google App. Recently, Google Contacts for Android got updated. The latest update has brought account switcher feature for the Android users. The company has been rolling out the so-called Material Theme to many first-party apps. Google Contacts is one of the Google apps that’s been updated with Material Theme a few days ago. At the time of its roll out one of the most important features, account switcher was missing. However, the company has now updated the App and has made this feature available for Android users. The latest update has introduced an account switcher in the form of a new profile avatar. In addition to that, the new UI has replaced a few menu tabs like Select, Select all, and Customize view. 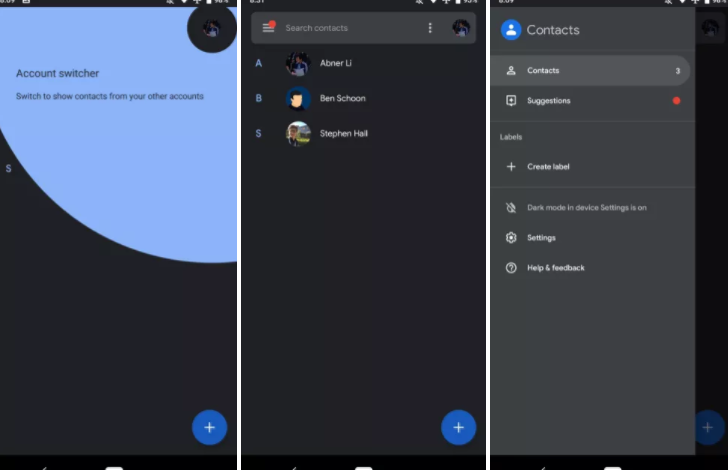 The new account switcher feature allows Google Contacts Android users to switch to a different account without having to visit the navigation drawer. Furthermore, it is also a shortcut that allows you to see contacts from all accounts. When All the Android users first launch the app, “Contacts” appear in the search field. They appear before animating out and revealing the overflow button. Meanwhile, the navigation drawer is slightly shorter now. In addition to that, the app icon has now taken the places of the switcher up best.